Techniques: Hand dyed and hand painted cotton, with free motion quilting. Commercial batik fabrics used in borders. Techniques: Batik, hand dyed and hand painted cotton. Techniques: Hand dyed and hand painted, whole cloth art quilt. Free motion machine quilting with hand painted metallic accents. 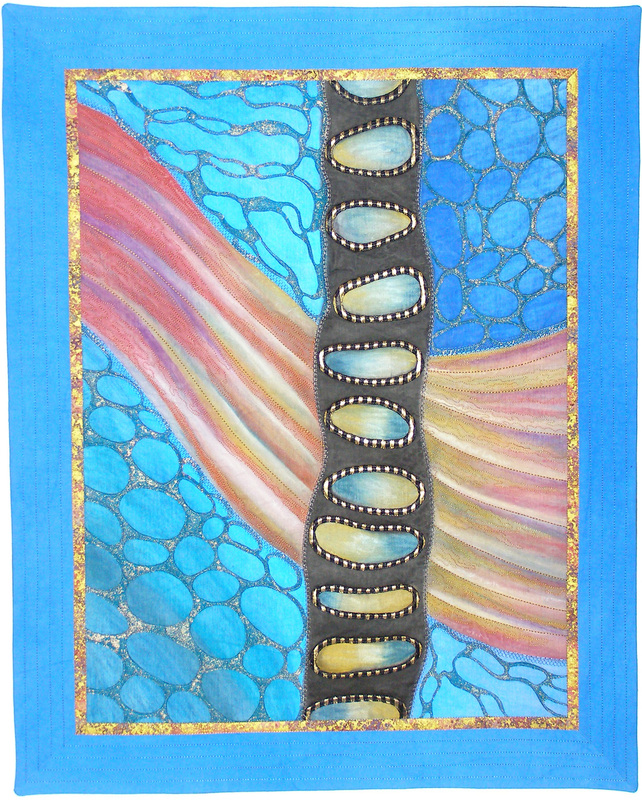 Techniques: Hand-dyed and hand painted cotton, with metallic paints. 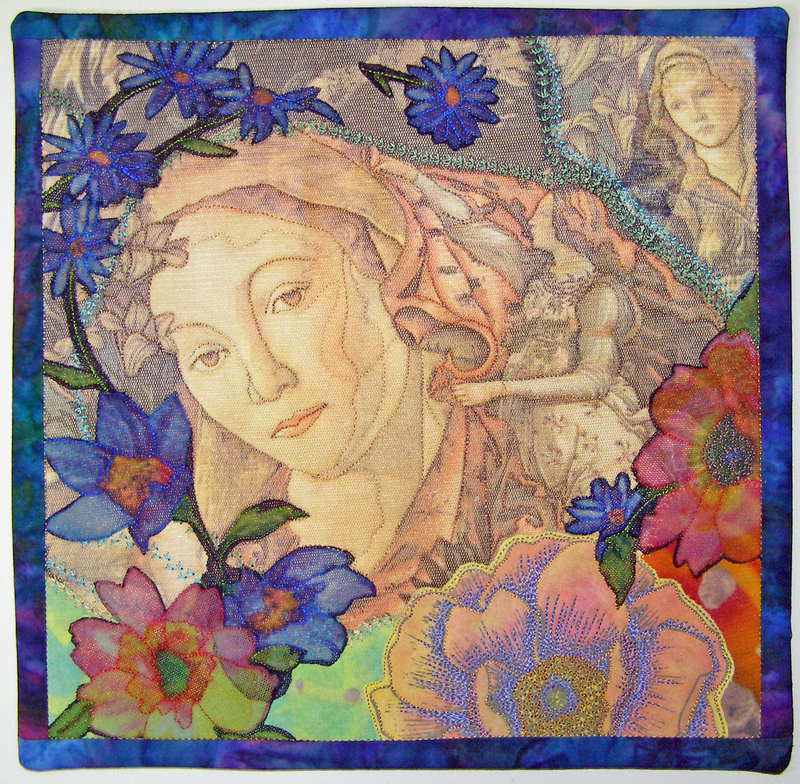 Hand-painted applique with digital transfer. Pieced and hand-painted outside border. Commercial fabric used for inner border. 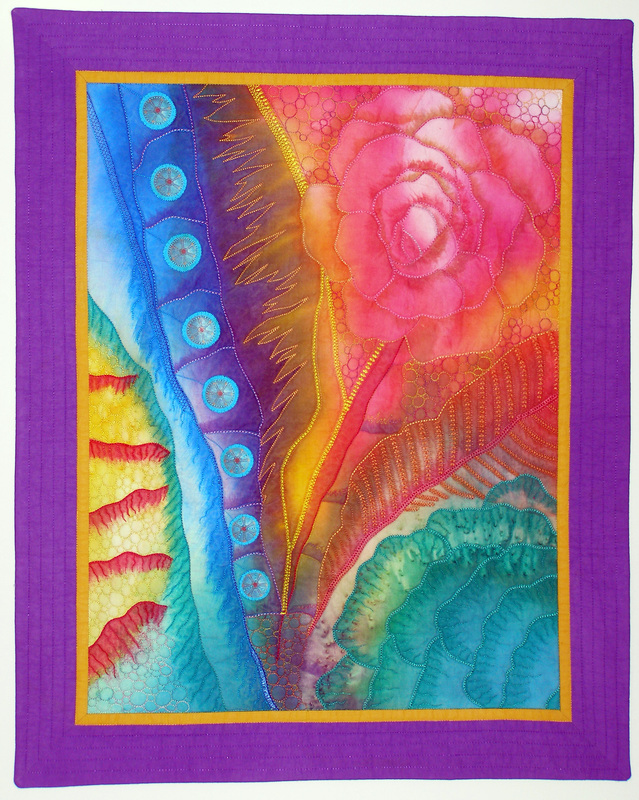 Techniques: Hand-dyed and hand-painted cotton, including water soluble pastels. Hand-painted metallic applique accents and commercial print. Machine embroidery and free-motion quilting. 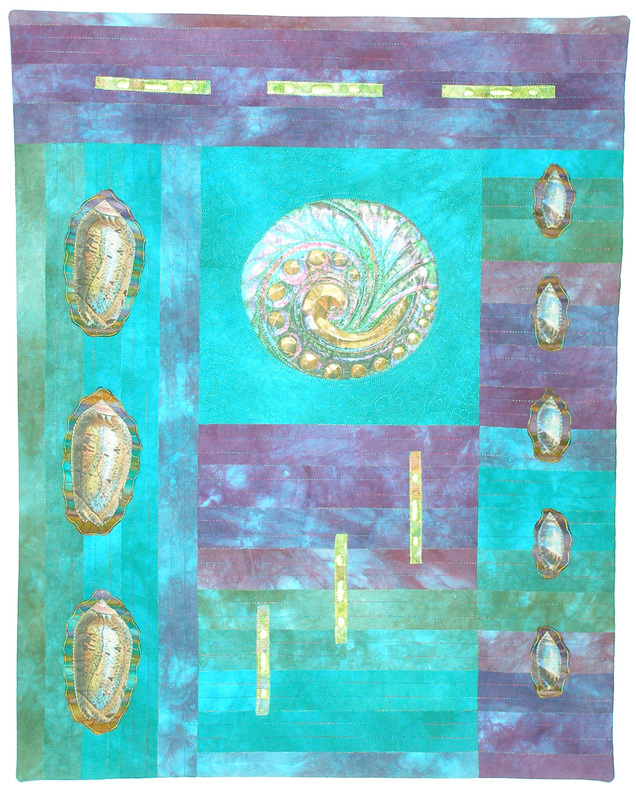 Techniques: Hand-dyed cottons, featuring vintage images of shells and a glass button, with free form applique and reverse applique. Techniques: Hand-dyed and hand painted cotton, with applique vintage images of glass buttons. Machine embroidery and free-motion quilting. .